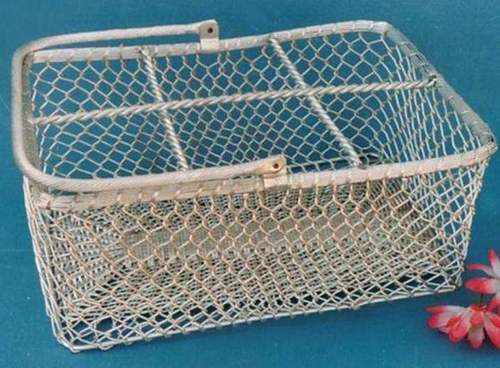 We are the leading Manufacture supplier exporter of Plastic Shopping Basket and offer this product as per client requirments and this product made by our expert with the great quality and i am looking for bulk order. Established in the year 2009 at Moradabad (Uttar Pradesh, India), we, "Al Ali Exim Corporation" are a leading manufacturer, supplier & exporter of superior quality range of Candle Holders, Wall Scone, Cutlery, Table Ware, etc. Our exclusive range includes Aftaba, Aluminum Bowls, Aluminum Candle Holder, Basket, Bathroom Products, Brass Animals, Brass Bangle, Brass Candle Holders, Brass Incense, Brass Silver Plated Jewellery, Chirag, Flower Vase, Gift Product, Hookah etc. We are known for high quality products and we design these items using superior quality basic material with the help of modern technology. These products are highly appreciated among clients for their optimum finish, elegant design, enhanced durability and attractive look. These items are available in various specifications as per the specific needs of our clients. In addition to this, our clients can avail the entire range from us at affordable cost.